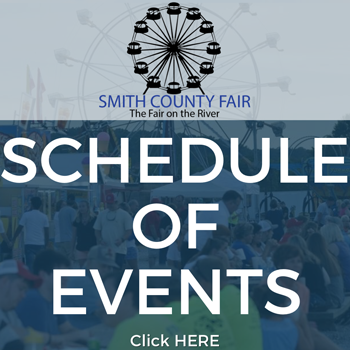 104.1 The Ranch presents Actor and Singer John Schneider at the Smith County Fair. 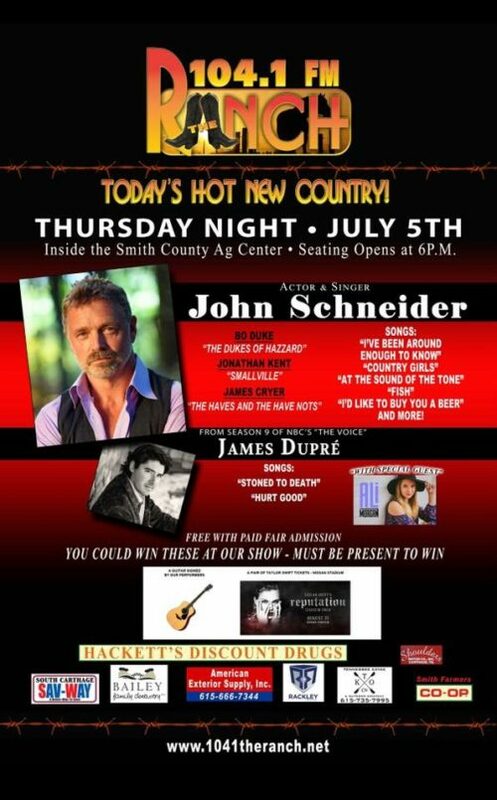 John Schneider will perform inside the Smith County Ag Center at 7:00 p.m. on Thursday, July 5, 2018. Seating opens at 6:00 p.m.
His most popular songs are “I’ve Been Around Enough to Know,” “Country Girls,” “At the Sound of the Tone,” “Fish,” and more. The concert will also feature James Dupré from Season 9 of “The Voice” and special guest Ali Morgan. Register between 6:00 p.m. and 7:00 p.m. and you could win an acoustic guitar signed by the musicians. You can also win a pair of tickets to see Taylor Swift perform at Nissan Stadium on August 25, 2018. You must be present to win. Visit the 104.1 FM website for additional rules and restrictions.